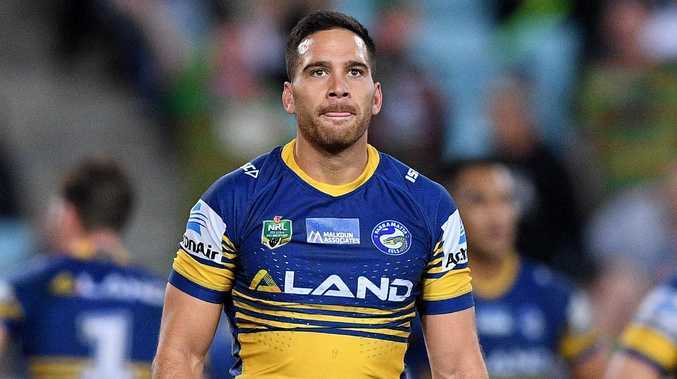 St George Illawarra-bound Corey Norman is expected to be back training with Parramatta on Monday and could be an Eel until early January as the NRL's latest ugly breakup becomes more farcical by the day. Despite farewelling his Eels teammates last Friday - and attending Parramatta's Christmas party - Norman's pending exit continues to be put on hold until the playmaker comes to an agreement over the terms of his separation payment. With the Eels unwilling to pay Norman the additional $20,000 he is seeking, the star five-eighth could remain at the Eels until his next Parramatta pay cycle on January 4 to recoup the money. But the longer it drags on the more harm it is doing for both clubs, and a host of others whose futures are directly linked to the ongoing circus. The Dragons understandably need Norman at training as soon as possible so he can take over at five-eighth and allow Gareth Widdop to prepare for his switch to fullback. But also blowing in the wind is no small matter relating to incumbent No.1 Matt Dufty's future. The 22-year-old is at the crossroads of his career as he mulls over whether to take up a two-year contract extension at the Dragons until the end of 2021 and bide his time behind Widdop next year, or chase an immediate first grade opportunity at a rival club. For the Eels, the sooner Norman is gone the better given his shadow also hangs over emerging halves Jaeman Salmon and Dylan Brown at every training session. Also the effect on five-eighth Mitchell Moses, who is to assume chief playmaking duties. Parramatta's recruitment plans are also on hold until Norman walks out the door. Coming off a wooden spoon finish in 2018, this is also the last thing Brad Arthur needs to be dealing with as the off-contract coach fights to save his own career. But the problem for all involved is that Norman and Eels management just can't settle on what is a fair payout. Norman is on a contract worth $940,000 at the Eels next season but the Dragons can only afford to offer him $500,000, because every extra dollar will push them over the salary cap limit. Norman wants $270,000 out of the Eels but they are refusing to budge past $250,000. While that $20,000 difference hardly seems worth squabbling over, for both parties it has now developed into a matter of principal. Perhaps understandably, Norman feels aggrieved by the fact the Eels had been attempting to shop him around for several months. But now he has found a new club, he feels the Eels are trying to make him wear the brunt of the financial fallout. Norman is on a back-ended three-year deal with Parra believed to be worth a total of $2.4 million. The 27-year-old earned $600,000 for 2017, $880,000 for 2018, while the $940,000 figure for 2019 was to be by far his biggest earn. But even with a $270,000 payout on top of his $500,000 at the Dragons, Norman will still be out of pocket the best part of $170,000 on what he was to earn at the Eels next season. It is understood Norman will take a pay cut of around $270,000 over three years to join Saints. Parramatta's perspective is somewhat different. As it stands, Norman has already pocketed about $160,000 just by turning up to pre-season training at a club where he clearly has no future. As every day passes, that figures rises by an estimated $2500. There is no doubt Norman will be at the Dragons next season but not before commonsense comes to the rescue of everyone. 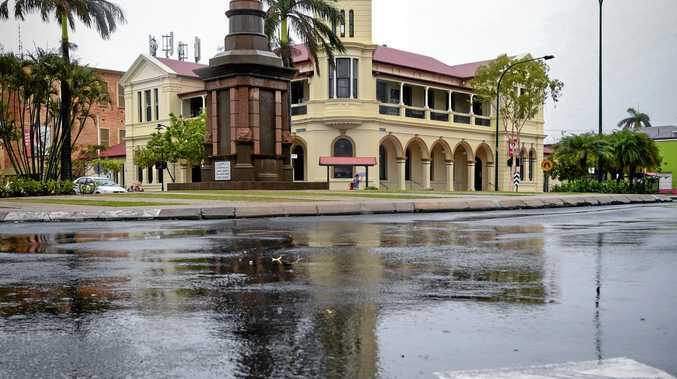 The situation has become so ludicrous that a list of Queensland Emerging Origin players doing the rounds in recent days had Norman listed as representing the Dragons. The return of Norman's manager, Paul Sutton, from a Bali holiday on Monday could help expedite proceedings. 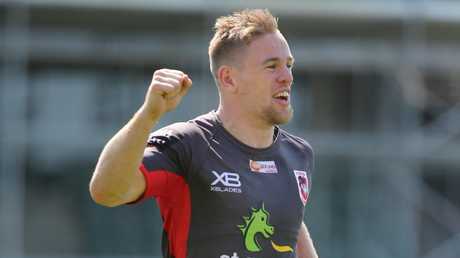 Meanwhile, it is understood Dufty has been in negotiations with the Dragons to extend his stay but at this point has not agreed to terms. It still wouldn't surprise anyone to see Dufty ask for a release if he can find another home for 2019. The Dragons have been adamant since talk emerged initially of their interest in Jarryd Hayne that they were not trying to push Dufty out of the club, though you'd still imagine potentially losing his spot to Norman was never on his Christmas wish list.